Michael Jackson’s teenage daughter Paris Jackson has said that the love messages exchanged between her and aspiring rapper Romeo Hodges were “just a joke” and that she is still single. After asking her Twitter.com followers to pray for Hodges following a car accident last month, the pair’s friendship appeared to have blossomed into romance this week. When a mutual friend suggested, ‘Yah should just be girlfriend and boyfriend already’, Jackson responded, ‘idk (I don’t know) Romeo Hodges... are we?’ ‘Let’s hope it’s a yes... my heart has the answer,’ Hodges wrote. But Jackson cleared the air about her relationship status with a tweet on Friday. ‘Dear media, I’m single...! Sincerely, it was a joke,’ she tweeted. 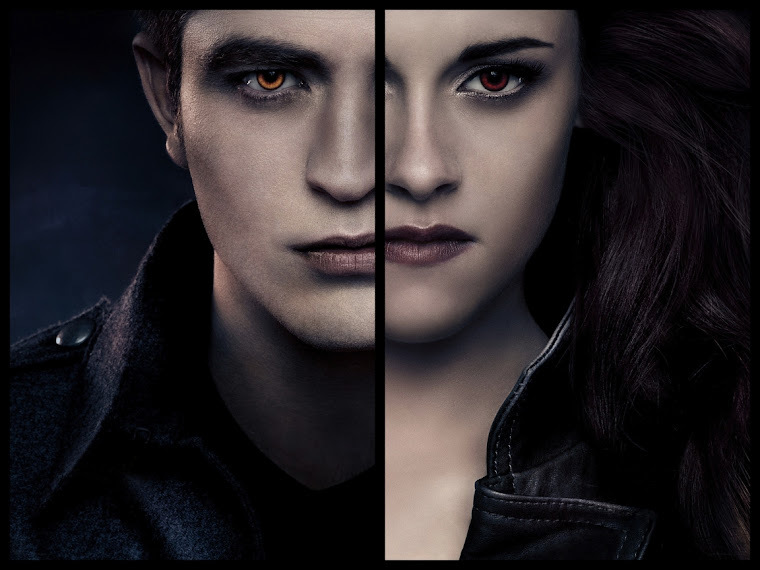 Earlier, the 13-year-old had revealed that she and Hodges had a special song, sending followers to Christina Perri’s Twilight love theme A Thousand Years video on YouTube.com. Share your views with Hollywood Latest News and Hollywood Celebrity News in comment box below and also don’t forget to follow us on Facebook for more latest celebrity news and photos. Pop star Katy Perry’s former boyfriend Travie McCoy has offered her support during her marriage split. The 27-year-old singer’s ex-boyfriend has been comforting her since she and her British comedian husband Russell Brand called time on their union in December after only 14 months of marriage. Gym Class Heroes frontman McCoy says he has been trying to help the singer get over the break-up, reported Mirror online. “There will always be a connection between us, I’ll always be there for her. When you’ve been in a relationship like ours, you will always make time for that person. Katy was there for me through my hard times when things were really bad. Life goes on, I have regrets about the way things ended but there are no grudges anymore. I’ll always be there for her, she knows that,” he said. Princess Diana’s life is set to be made into a movie, and producer Stephen Evans is lining up a Hollywood actress to play the late British royal. Diana’s film will be based on her bodyguard Ken Wharfe’s memoirs from his book Diana: Closely Guarded Secret. 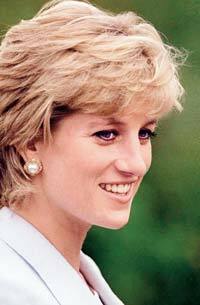 The Princess of Wales died in a car crash in August 1997. “We are dealing with about 11 years of her life from just after she had Harry, when he’s aged about two, and it’s partly from the point of view of her protection bodyguard,” contactmusic.com quoted Evans as saying. “The emphasis on this really is authenticity and to discover what she went through. Unless you are a Diana freak, quite a lot of it will be unknown to the audience. The movie’s not saying she is unbelievably wonderful or she’s a pain in the neck, the audience can make their own view,” he added. There is a moment in Kung Fu Panda 2, Dreamworks’ stellar follow-up to its 2008 talking-animal blockbuster, that is as clever and subversive as any I’ve seen in recent animated films. Just before the climactic final battle, our hero, Po (Jack Black), thought to have been vanquished, re-appears above a rooftop to declare his challenge to the villainous Lord Shen (Gary Oldman), who sits upon a battleship in the canal below, preparing mount his siege. As Po launches into his speech, the camera pulls back to reveal that Shen is in fact well out of earshot; he can’t make out a single word the panda is saying. Shen pleas in vain for him to speak up, only to give up in frustration and commence his assault forthwith. There are lovely bits like this scattered throughout Kung Fu Panda 2, little moments that undermine traditional action-movie tropes to hilarious effect. Much praise is owed to director Jennifer Yuh Nelson and returning writers Jonathan Aibel and Glenn Berger, who have adroitly addressed the chief – and arguably only – complaint about the first film: that its story was too lightweight, too formulaic, too cautiously adherent to the conventional hero’s journey blueprint. Their follow-up may not be as charming or whimsical as its predecessor, but it makes up for it with added depth and emotional resonance. How much depth, you ask? Genocide, childhood abandonment issues, and industrialization’s destabilizing effects are just a few of the formidable topics touched upon in the sequel. But don’t fret; the filmmakers haven’t suddenly set their sights on Pixar-grade profundity. 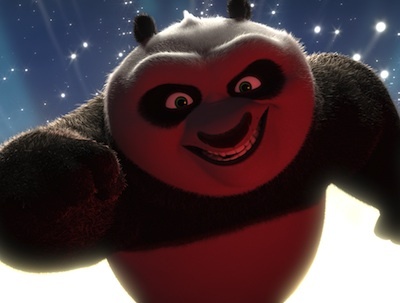 The tone of Kung Fu Panda 2 is still as earnest and unpretentious – and joyful – as before. And it’s still anchored by a refreshingly restrained Black as the voice of Po, the chubby noodle-slinger turned kung fu superstar. The second installment finds Po and the Furious Five – Tigress (Angelina Jolie), Mantis (Seeth Rogn), Crane (David Cross), Monkey (Jackie Chan), and Viper (Lucy Liu) – facing a formidable new foe in the diminutive guise of Lord Shen, a seething tyrant whose new invention, the cannon, threatens to make kung fu obsolete. Po has a personal connection with the peacock: It was Shen who, spooked by a soothsayer’s premonition, sacked Po’s native village several years prior, forcing Po’s parents to ship their infant son off to safety – and onto the doorstep of his adoptive father, Mr. Ping (James Hong). Po’s only hope of victory, his mentor, Master Shifu (Dustin Hoffman), informs him, is to find inner peace. (That’s all?!?) The path to nirvana is a jagged one, marked with dizzying chases and riveting kung fu battles, all elaborately choreographed and beautifully rendered. As we’ve come to expect with CG sequels, the animation in Kung Fu Panda 2 surpasses that of the previous film, retaining its signature look while adding greater detail and more exquisite landscapes. Though the 3D is top-quality, I would still recommend seeing the film in 2D, if only because of the darkening effect caused by so many 3D projectors. Colors these lush deserve as bright a canvas as possible. The widely-accepted definition of an Oscar-worthy movie is a bit stiff. We think of "prestige" movies—high drama, electric performances, socially conscience material, themes that speak blatantly to the universality of mankind. High art—a label an animated sequel starring Jack Black as a kung fu wielding panda would rarely garner. But what's a qualifier for "Best" when it comes to movie awards? If it's delivering the difficult balance between goofy, kid-friendly comedy and tender moments of drama in an elegantly produced picture bursting with color and energy (and I believe that is a qualifier for "Best"), than Kung Fu Panda 2 is one of 2011's stand out entries. The movie, up for the Best Animated award alongside Rango, Dreamsworks other 2011 movie Puss in Boots, the Spanish-language film Chico & Rita and France's A Cat in Paris, continues the story of Po (Jack Black), a panda who started as the black sheep of his town, only to rise up to legendary martial arts warrior and save the day. In the sequel, Po and his band of do-gooders, the Furious Five, are tasked by their master, Shifu (Dustin Hoffman), to stop a rising force of evil. Shen (Gary Oldman), a nasty peacock with a serious hatred for pandas, has harnessed the power of explosives and aims to take over the world—unless, of course, Po and the Furious Five can put the kibosh on his plans. When the original Kung Fu Panda hit theaters in 2008, it came as a bit of a shock. Dreamworks Animation had long lived in Disney/Pixar's shadow as a company that was banking on the low-brow standards of Shrek and its anthropomorphized, cartoon animal carbon copies. But Kung Fu Panda had a level of maturity—still packed with comedy, but with the added perks of kinetic direction, emotional storytelling and stylistic cinematic choices. Kung Fu Panda 2 continues that trend and one-ups its predecessor, with action sequences that rival any live-action movie in the past year (perhaps even ranking above Steven Spielberg's motion-captured Tintin) while logically segueing into a truthful next chapter of Po's journey as a character. Women are afforded a shameful amount of opportunities to tackle big-budget spectacles in Hollywood (in 2011, only five wide-releases were directed by women, only two live-action), so to see director Jennifer Yuh knock the sequel out of the park, with slick camera movements and aggressive fight choreography, is even more inspiring. The movie takes full advantage of its unrestrained form and blows it to smithereens, with a scale and speed that only animation could begin to attempt. No surprise that Yuh took home the Directing Award at this year's Annies. Kung Fu Panda 2 has a lot of flash, but its dramatic hook is what elevates the film to truly "Oscar-worthy." In the first movie, Po was dealing with the expectations of the world around him as he dreamed of becoming a kung fu master. In number two, the hungry panda confronts his past, the extinction of his race by his nemesis (Po was the lone survivor of Shen's panda genocide) and how he ended up as Dragon Warrior. The strength of the movie's heartfelt message comes from Jack Black's physical inhabitance of Po. That may sounds ridiculous—especially considering the best of the best voice performances barely muster their accolades, let alone "Actor" awards—but what Black is able to convey with voice, combined with the animated expressions of his fluffy counterpart, breathes reality into the pixelated presentation. Same goes for Oldman as Shen, who displays as much vigor in Panda 2 as he does in his Oscar-nominated Tinker Tailor Soldier Spy role. He's a ruthless villain, but one with lyricism and brains, making his ambition to rule with an iron thumb that much creepier. The exquisite acting is another testament to Yuh's work as a filmmaker too. She brings warmth and consideration to quiet scenes of introspection, in an environment that can be maliciously branded and demeaned as a "kid's movie." Her use of 2-D animation in Po's flashbacks is an exhilarating change of pace and a clear indication Yuh's savvy sensibilities. Kung Fu Panda 2 is nothing less than underestimated and under-appreciated in the Oscar game. The film is not an awards contender in the broad sense of the race, but the top prizes if it came down to quality, compassion and artistry, Kung Fu Panda 2 would put up a good fight.